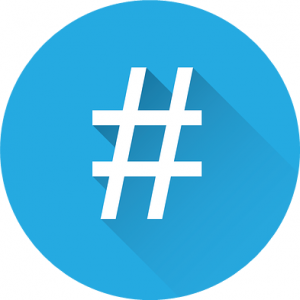 It’s hard to believe, but just ten years ago we commonly referred to the hashtag symbol as the pound sign and generally used it to indicate we were done entering information on the phone or at the gas pump (“Enter your account number, followed by the pound sign.”). Today, it’s ubiquitously known as the hashtag, and it’s used all over social media as well as in popular culture to indicate where you are and what you’re talking about. Where did this language-altering idea come from and how did it become so essential to the way we interact? Let’s take a quick look at the last ten years and pinpoint some #highlights. While our focus is on the history of the modern hashtag, it’s worth noting that this symbol was first used to group messages and media back in the late 80s on IRC (Internet Relay Chat) platforms. Experiences in IRC chat rooms gave developer Chris Messina the idea to propose using hashtags to Twitter in August 2007. The idea didn’t really get off the ground until that October, during the San Diego wildfires. Web developer Nate Ritter started tweeting prolifically about the fires using the hashtag #sandiegofire, so that people could easily find his updates. Twitter officially came onboard with support for hashtags in the summer of 2009, and at the start of 2011, Instagram also jumped on the hashtag train. The first Super Bowl commercial to feature a hashtag campaign premiered in 2011. Two years later, half of all Super Bowl commercials would include hashtags- thanks, Audi, for leading the way! In spring of 2011, hashtags played a major role in the Arab Spring uprising. Hashtags allowed activists to connect and share information quickly and without government interference, leading #bahrain to become one of the most-used hashtags of all time. Another example of the symbol’s historical impact: before black teenager Michael Brown was shot by a police officer in Ferguson, MO in 2014, the #BlackLivesMatter hashtag appeared on Twitter approximately 30 times per day. In the weeks following the shooting, it appeared an average of 58,000 times per day. In addition to their importance as part of political and social movements, hashtags have also provided us with a lot of laughs over the years. Check out #misheardlyrics, #momtexts, and #textsfromdog for a few humorous examples. And let’s not forget Jimmy Fallon and Justin Timberlake’s excellent spoof of hashtag overuse. We hope you’re putting hashtags to work for you — they’re an excellent way to build your brand and an important part of your overall social media strategy. Tweets with 1-2 hashtags (don’t go overboard) receive twice the engagement of those without and are 55% more likely to be retweeted. Go as crazy as you like on Instagram- tweets with 11 or more hashtags do best over there. Remember to keep your hashtag simple and unique with a clear call to action. Read it (and then reread it) to make sure it can’t be misunderstood or misinterpreted. In just ten years, hashtags have changed the way we search for information and interact on social media. They’ve allowed groups to come together to reach a common goal. They’ve kept us laughing and influenced the way we do business. What’s next for this quintessential symbol? We’re excited to see what the #NextTenYears will bring!